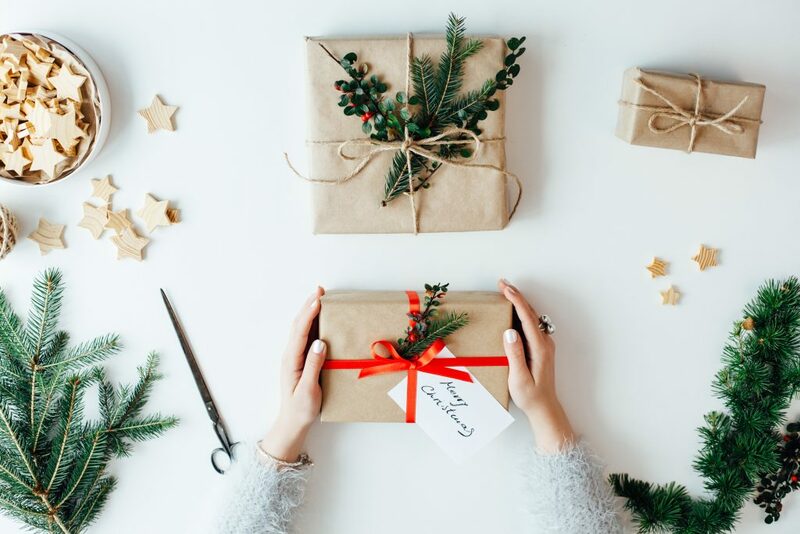 Each year we love to buy Christmas presents for others, and for us, the holiday season starts once we’re sat in our comfiest jumpers watching Christmas films and wrapping presents. Your gifts will be displayed under the tree until Christmas day so it’s important to get the Christmas wrapping right. If you’re looking for ways to make your gifts look unique, take a look through our three ways to wrap. One size doesn’t necessarily fit all when it comes to bows. Mix it up with different widths of ribbon to suit the size of the gift. If you’re going for a rustic look with your wrapping paper, brown paper with green ferns or holly is a beautiful natural look. Finish the theme with brown string or red ribbon to match the berries from the holly. To ensure the pattern matches the size of the gift perfectly, why not draw it on to plain paper after wrapping? 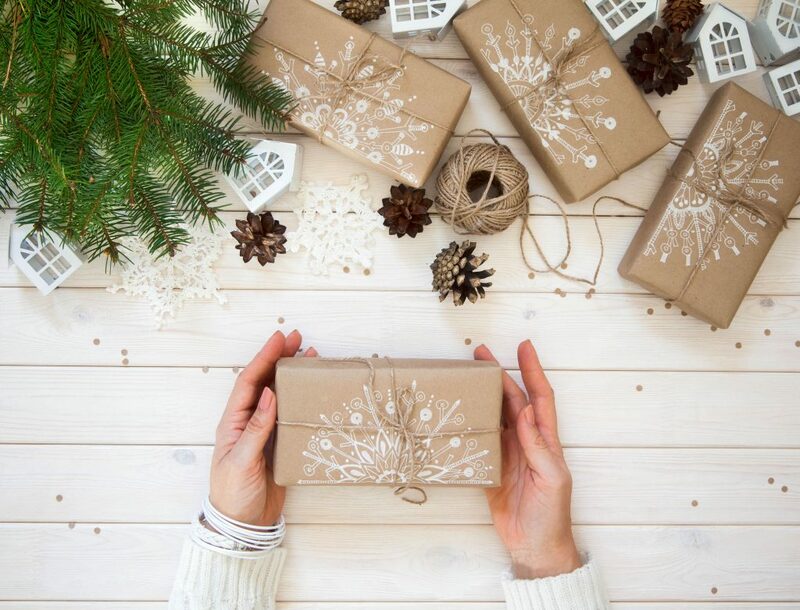 White looks really effective on brown paper so try out some intricate snowflakes designs to really make your wrapping look unique. Finish with brown string or a touch of glitter. Now we’ve got the wrapping sorted, what are you going to wrap? Take a look through our online shop to find the perfect gift this Christmas. 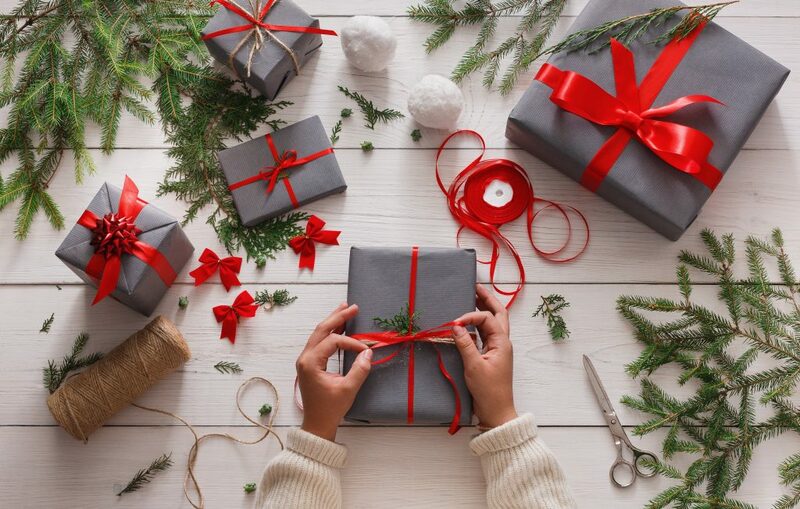 What are your best wrapping tips? Let us know in the comments below.